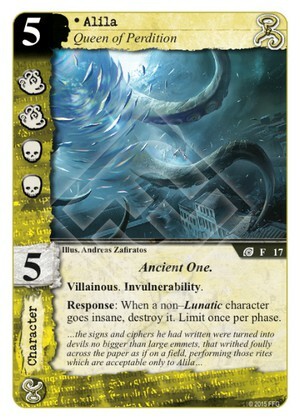 In context of the other improvements to make Lunatics decks viable, this AO is certainly sweet. However the problem is usually the opposing chars you cannot drive insane - not the fact that insanity is temporary. At 5 cost, not sure this will make the cut. Invulnerability improves the likelihood. 3/5, but barely.